With 20 counties comprising Ohio's Great Lakes Region, the state has an abundance of shoreline-over 300 miles. These places where land meets water are special, offering people areas to play, contemplate, and appreciate the natural world. The lake defines Ohio's geography, is essential to its economy, and anchors its culture. Unfortunately, the public has very limited access to the 313 miles of Lake Erie's shoreline, making it challenging for residents to directly experience and enjoy Ohio's greatest natural resource. TPL is working to ensure that there is public access or privately conserved natural area along each mile of the shoreline in metropolitan areas, and every five miles in rural areas. 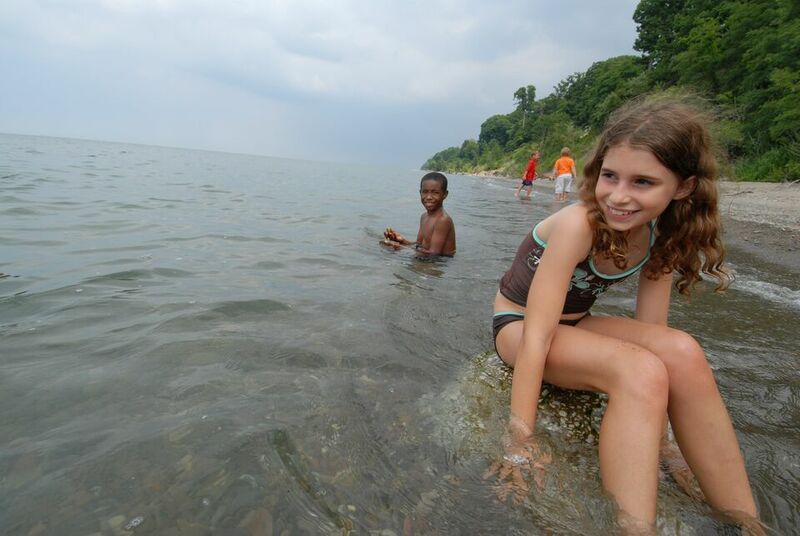 Since 1999, TPL has helped raise public funding that enables lakeside communities to open shoreline space for parks and other recreational areas. Private, philanthropic support is also essential if we are to realize a vision of Lake Erie Shoreline all residents can enjoy.